A Stern review for everyone? The Stern review ‘was commissioned by the government to carry out the review of the Research Excellence Framework (REF) to ensure future university research funding is allocated more efficiently, offers greater rewards for excellent research and reduces the administrative burden on institutions’. In this post, I explain why no single policy can solve these problems uniformly: they affect scholars of different seniority, and different disciplines, very differently. The punchline is at the end. My initial impression of the Stern review is that it has gone to great lengths to address the unintended consequences of the previous Research Excellence Framework. One of its key aims now is to try to anticipate the potential unintended consequences of its reduction of other unintended consequences! This is remarkably common in policymaking, perhaps summed up by Aaron Wildavsky’s phrase ‘policy as its own cause’: we enter a never-ending process of causing ripple effects when trying to fix previous problems. Problem: there was a large incentive for Universities to ‘game’ the REF towards the end of the cycle: paying for 20% of the time of big name academics, or appointing them at huge salaries, to gain access to their 4 best publications. A policy of rewarding research excellence became a policy to (a) reward big transfers, undermining the efforts of other Universities and reducing their incentive to invest for the long term, and (b) boost the salaries of senior scholars (many of whom were already on 6-figure salaries), often to ridiculous levels. Solution: non-portability. The idea is that you can move but your former employer gets to use the texts that you published while in your last job. So, there may now be less incentive to buy up the big names in the run up to the next REF. Unintended consequence: uncertainty for early career researchers (ECRs) or scholars without permanent (open-ended) contracts. Many ECRs have expressed the concern that their incentives may suddenly change, from generating a portfolio of up to 4 excellent publications to secure a permanent post, to perhaps holding back publications and promising their delivery when in post. This could be addressed by the present review (ECRs could be included in the REF but be under no obligation to submit any publications), or perhaps by exempting ECRs since the policy is aimed at senior scholars (but the exemption would also have unintended consequences!). We will now enter a phase of debate driven by uncertainty and anxiety about the end result, and a lot of the discussion will be emotionally charged because many people will have spent maybe 8 years in education (and several years in low paid posts after it) and not know what to do next. It is relatively easy for people like me to say that the proposed new system is better, and for senior scholars to look on Stern as a big improvement, because people like me will be rewarded in either system (I will leave it to you to decide what I mean by ‘people like me’). It is more difficult for ECRs who are genuinely uncertain about their prospects. The punchline: how does this look through the eyes of scholars in different disciplines? The general differences. Scholars operate in different ways. The ‘STEM’ (science, technology, engineering and mathematics) subjects are often described in these terms: you have large teams headed by a senior scholar; there is a hierarchy; you all work on the same research question; you publish many short articles as a team (with senior authors listed at the very start and end of the list of authors); you are increasingly driven by key metrics, such as personal citations and the ‘impact factor’ of journals . The humanities is often described like this: you are a lone scholar; you work on your own research question; you publish single-author work, and the big status symbol is the research monograph (book); these journal or other metrics do not work as well in your discipline. I am verging on caricature here (many ‘STEM’ scholars will work alone, and some humanities or social science scholars will operate laboratory-style teams), but you get the idea. These differences feed into other practices: only in some subjects can it make sense for a University to ‘poach’ a whole team or unit; only in some subjects do ECRs need to develop their own portfolio of work; in some subjects, a PhD student or ECR effectively works for a senior scholar, while in others the PhD student has a supervisor but can set their own research agenda; in some subjects, it is automatic to include the senior scholar in an article you wrote, in others it would be seen as exploitation of the work of a PhD student or ECR. In some subjects, a CV with your name on team publications is the norm, while in others it would look like you do not have your own ideas. The REF reinforces these differences. You often find the impression that research exercises and metrics are there for the STEM subjects (or ‘hard sciences’) and not the humanities or social sciences: a process or review for Universities does not take into account the differences in incentives and practices across the disciplines, and some disciplines might lose out. So, if you follow this debate on twitter, I recommend that you look at the bios of each participant to check their level of seniority and discipline because the Stern review is for all but it will affect us all in very different ways. In a series of heroic leaps of logic, I aim to highlight some important links between three current concerns: Labour’s leadership contest, the Brexit vote built on emotion over facts, and the insufficient use of evidence in policy. In each case, there is a notional competition between ‘idealism’ and ‘pragmatism’ (as defined in common use, not philosophy); the often-unrealistic pursuit of a long term ideal versus the focus on solving more immediate problems often by compromising ideals and getting your hands dirty. We know what this looks like in party politics, including the compromises that politicians make to win elections and the consequences for their image, but do we know how to make the same compromises when we appeal for a more deliberative referendum or more evidence-informed policymaking? Idealist leaders focus on the visionary, big ideas. It could be argued that they focus more on the end result than the path to get there, and they can erroneously be viewed as looking through rose-colored glasses when, in fact, they simply “see” the end goal and truly believe there is a way to get there”. On the surface, it’s a neat description of the current battle to win the Labour party, with Jeremy Corbyn representing the idealist willing to lose elections to stay true to the pure ideal, and Owen Smith representing the pragmatist willing to compromise on the ideal to win an election. In this context, pragmatic politicians face a dilemma that we often take for granted in party politics: they want to look flexible enough to command the ‘centre’ ground, but also appear principled and unwilling to give up completely on their values to secure office. Perhaps pragmatists also accept to a large extent that the means can justify the ends: they can compromise their integrity and break a few rules to win office if it means that they serve the long term greater good as a result (in this case, better a compromised socialist than a Tory government). So, politicians accept that a slightly tarnished image is the price you pay to get what you want. For current purposes, let us assume that you are the kind of person drawn more to the pragmatist rather than the idealist politician; you despair at the naiveté of the idealist politician, and expect to see them fail rather than gain office. If so, how might we draw comparisons with other areas in politics and policymaking? a large chunk of the public was not intelligent enough to separate the lies from the facts. Democracies require not just literate and numerate electorates. They need people who cannot be sold snake oil by every passing shyster because their critical faculties have been properly honed. Whose popular culture has not degenerated so completely that every shopping channel hostess is classed as a celebrity. Where post-modern irony doesn’t undermine both honest relaxation and serious endeavour. Where the idea of a post-factual age is seen as an acute peril not an amusing cultural meme. If the events of June have taught us anything it is that we need to put the rigour back in our education, the search for truth back in our media. Of course, I have cherry picked the juiciest part to highlight a sense of idealism that I have seen in many places. Let’s link it back to our despair at the naïvely idealist politician: doesn’t this look quite similar? If we took this line, and pursued public education as our main solution to Brexit, wouldn’t people think that we are doomed to fail in the long term and lose a lot of other votes on the way? Another (albeit quicker and less idealistic) solution, proposed largely by academics (many of whom are highly critical of the campaigns) is largely institutional: let’s investigate the abuse of facts during the referendum to help us produce new rules of engagement. Yet, if the problem is that people are too stupid or emotional to process facts, it doesn’t seem that much more effective. At this stage, I’d like to say: instead of clinging to idealism, let’s be pragmatic about this. If you despair of the world, get your hands dirty to win key votes rather than hope that people will do the right thing or wait for a sufficiently ‘rational’ public. Yet, if we think that other referendum participants are winning because they are lying and cheating, we might also think that honourable strategies won’t tip the balance. We know that, like pragmatic politicians, we might need to go a bit further to win key debates. Anything else is idealism, right? The same can be said for many scientists bemoaning the lack of ‘evidence-based policymaking’ (EBPM). Some express the naïve hope that politicians become trained to think like scientists and/ or the view that evidence-based policymaking should be more like the idea of evidence-based medicine in which there is a hierarchy of evidence. Others try to work out how they can improve the supply of evidence or set up new institutions to get policymakers to pay more attention to facts. This seems to be EBPM’s equivalent of idealism, in which you largely wish for something that won’t exist rather than trying to produce pragmatic strategies for the real world. (1) work out how and why policymakers demand information, and the policymaking context in which they operate (which I describe in The Politics of Evidence-Based Policymaking, and with Kathryn Oliver and Adam Wellstead in PAR). (2) draw on as many interdisciplinary insights to explore how to do something about it, such as to establish the psychology of policymakers and identify good ways to tell simple stories to generate an emotional connection to your evidence (which I describe in a forthcoming special issue in Palgrave Communications). Should academics remain idealists rather than pragmatists? Of course, it is legitimate to take what I am calling an idealistic approach. In politics, Corbyn’s idealism is certainly capturing a part of the public imagination (while another part of the public watches on, sniggering or aghast). In the Academy, it may be a part of a legitimate attempt to maintain your integrity by not engaging directly in politics or policymaking, and/or accepting that academics largely contribute to a very long term enlightenment function rather than enjoy immediate impact. All I am saying is that you need to choose and, if you seek more direct impact, you need to forego idealism and start thinking about what it means to be pragmatic while pursuing ‘evidence informed’ politics. The future of Scotland in the UK: does the remarkable popularity of the SNP make independence inevitable (version 2)? This is an updated blog post. The original post provided notes for my lecture on the 15th June at the Centre for British Studies, Humboldt University of Berlin, as part of the Ringvorlesung: The Future of the UK: Between Internal and External Divisions. I had written it before the vote in the UK to leave the EU, which provided the only realistic chance of a second referendum on Scottish independence. So, the background sections remain the same, but I update the contemporary section with reference to Brexit and its consequences. The vote to remain in the UK, in the Scottish independence referendum in 2014, did not settle the matter. Nor did it harm the fortunes of the pro-independence party, the Scottish National Party. Instead, its popularity has risen remarkably, and major constitutional change remains high on the agenda, particularly during the run up to a referendum on the UK’s exit from the EU. This continued fascination with the constitution overshadows the day-to-day business of Scottish politics. 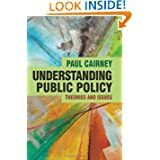 Cairney highlights one aspect in particular: the tendency for limited public and parliamentary scrutiny of substantive policy issues when they are viewed through a constitutional (rather than substantive policy) lens, producing an image of weak accountability. Shoehorn in some analysis of the links between our fascination with the constitution and the more humdrum world of actual policy. Provide a brief update on the impact of the EU referendum, bearing in mind that I am no less hopeless than anyone else about predicting the future. Westminster (plurality electoral system). Labour won most Scottish seats in every election from 1959-2010. In 1997, it won 46% of the vote and 56 (78%) of 72 Scottish Westminster seats (Cairney and McGarvey, 2013: 45). The SNP won 22% of the vote and 6 (8%) seats. A similar pattern continued until 2010: Labour dominated Scottish Westminster seats even when the SNP began to win Holyrood elections. Local elections (plurality until 2003, single transferable vote from 2007). In 1995, its 44% of the vote translated into 613 (53%) of 1155 seats and it remained the largest party until 2007 (Cairney and McGarvey, 2013: 51). This dominance produced an expectation that Scottish Labour would become the largest party in the Scottish Parliament for the foreseeable future. In that context, the fortunes of Labour and the SNP changed remarkably quickly (see table 3). In 1999 and 2003, the main limit to Labour dominance was the electoral system: it won the majority of constituency seats comfortably but few regional seats (it also won most constituency seats in 2007). By 2011, this position had reversed and, by 2016, the regional list was the only thing standing between Scottish Labour and electoral oblivion. In contrast, by 2011 the SNP achieved a majority of Scottish Parliament seats because the regional element of the mixed-member proportional system (56 of 129 seats) was not large enough to offset SNP dominance of constituency seats. This is a remarkable outcome if we accept the well-shared story that Holyrood’s electoral system was ‘chosen by Labour to stop the SNP ever the getting the majority it needed to push hard on the independence agenda’ (Cairney, 2011: 28). It won a third Holyrood election in a row, only missing out narrowly on a second majority in a row (in an MMP system). It’s not so remarkable if you know that the SNP is not a single issue party. Instead, it is a highly professional organisation which has won elections on the back of valence politics as well as identity. The SNP did well in 2007, and very well in 2011, because ‘most voters thought that the party would do a better job in office than its rivals’. People vote for a party when they respect its leader, its vision for the future, and have a high expectation of its competence while in office – and the SNP has benefited from being a party that looks highly professional (although one’s belief in the competence of the SNP may be linked strongly to one’s national identify and support for independence). So, (a) it’s worth noting that the SNP is doing well partly because 45% of the vote will not win you a referendum, but it (plus a bit more) will do very nicely in a not-super-proportional election system, but (b) there is far more to the SNP’s story than a translation of national identity into support for independence into support for the SNP. You’ll always find someone who claims that they predicted these developments correctly, but that’s because of the immense number and range of hyperbolic predictions – from the claim that devolution provided a ‘stepping stone’ to independence, to the claim that it would kill nationalism ‘stone dead’ – rather than the predictability of politics. So, for example, in retrospect we can say that devolution provided an important new platform for the SNP, but at the time we did not know that it would use this platform so effectively from the mid-2000s. Similarly, maybe some people in the future will look back to argue that Scottish independence was inevitable, but without being able to predict the detailed mechanisms of decisions and events. Before the Brexit vote, I tried to sell the idea that 10 years is the magic figure between Scottish referendums (2014 and 2024): a short enough distance to keep pro-independence actors content, and long enough to hope that enough people have changed their minds. In the meantime, the SNP and Greens would produce some vague triggers (like a surge in opinion poll support). Now, if a second referendum is to happen, it is because of the constitutional crisis prompted by Brexit. Overall, most UK voters chose to leave the European Union, but most voters in Scotland chose to remain. The SNP and its allies will push for a second referendum on that basis, with reference to a ‘democratic outrage’. It possesses the votes to pass a bill to that effect in the Scottish Parliament, and needs some cooperation from a UK Government led by the party that just used a referendum to justify major constitutional change. It is difficult to see why the Conservative government would oppose a referendum under those circumstances (rather than allow it to take place and argue for the Union) even though UK government ministers have rejected the idea so far. If a second referendum happens, it could happen before 2020. I am hesitant to say when exactly, partly because there is so much uncertainty, which too many people try to fill with needless speculation. For example, Sturgeon confirmed that it could happen as early as 2017, but only because the BBC asked her what she would do if the UK government behaved unreasonably. In the same interview, Sturgeon also suggested that it may take a long time for the UK to invoke ‘Article 50’, which triggers a notional two-year negotiation period before the UK leaves the EU. Before we know if a second referendum is likely, and the likely date, we need clarity on two things: (1) the extent to which the UK can (and is willing to) negotiate a deal with the EU which satisfies the SNP and Scottish voters (by becoming Brexit-lite or providing Scotland-specific provisions on key issues like free movement of people); and, (2) the timing of Brexit, since a Scottish referendum would hopefully not take place until we know what we are voting for (which might not happen until near the end of the notional two-year negotiations). Still, it is likely that the vote would be binary, as some version of: stay in the UK out of the EU, or leave the UK and stay in the EU. Recent events reinforce the sense that Scottish devolution will never seem like a ‘settlement’. Instead, until recently, we have had a routine process in which: (a) there is a proposed devolution settlement, (b) it sticks for a while, (c) there is a rise in support for independence or further devolution, (d) there is another settlement. So far, this has happened in 1999 (the first modern settlement), from the SNP’s first Holyrood win in 2007 (producing the Scotland Act 2011), and during the referendum itself (producing the Scotland Act 2016). This offer proves to be too unpopular to maintain support for devolution, there is a further referendum, and no-one can offer more devolution in exchange for a No vote. The 2016 Act finally helps address the idea of a ‘democratic deficit’ in which (a) most people in Scotland vote for one party in a UK General election (usually Labour, now SNP) but get another (often Conservative), and (b) this problem helps produce the sense that the UK Government is imposing unpopular policies on Scotland. For the new Act to work, you would need to generate the widespread sense, among the public, that a Scottish Government could choose to mitigate the effects of a UK Government (perhaps without raising taxes). Now, things are a bit more complicated, since devolution is no longer simply about Scotland’s position in the UK. Scenario two now has to be accompanied by the sense (however true) that the Scottish Government is able to negotiate a distinctive relationship with the EU while remaining in the UK. We have the familiar disconnect between two understandings of politics, in which (a) we use elections and some parliamentary scrutiny to praise or blame governments, but also (b) recognise the limits to central control, which undermine a meaningful sense of accountability. It is complicated further by the 2016 Act, in which there are many new shared responsibilities between the Scottish and UK Governments. So, politicians tell very different stories about what the Scottish Government can do, who is in charge, and who should take the blame for policy outcomes. And the Scottish Parliament continues to struggle to know how best to try to hold the Scottish Government to account (and it might soon struggle a bit more). Perhaps one possible exception is the new debate on educational attainment. First Minister Nicola Sturgeon staked a large part of her reputation on reducing the gap in attainment between students in the most and least deprived areas of Scotland. Before the election, she promised to ‘close the attainment gap completely’. Although the SNP manifesto in 2016 presents more equivocal language (reflecting the sense that it does not know how much it can reduce the gap), it remains significant: as an issue in which there are constitutional complications (the Scottish Government does not control fully the economic and social security ‘levers’ affecting levels of deprivation), but the SNP is not using them to qualify its aims. 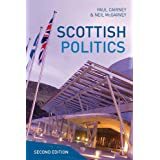 This example supplements several ongoing debates of high party political importance, in which there is not a constitutional element (on, for example, the Scottish Government’s ‘named person’ policy and legislation on ‘offensive behaviour’ in relation to football). In the original version of this post, I signed off by speculating: ‘maybe such cases suggest that, for at least the next few years, we will pretend that there is a Scottish devolution settlement that that we are not just killing time until the next referendum’. It already seems like an out of date hope: the constitution is back at the top of our agenda, and I can’t remember the last time I read a story about domestic policy in Scotland. Early thoughts on the Iraq Inquiry/ Chilcot Report: will anyone learn any lessons? One of many aims of a report like Chilcot is to learn lessons to inform future action (the others are to provide assurance, put off an issue, symbolise transparency, and so on). Yet, we don’t seem to learn the most basic lesson, which is that: you won’t generate a consensus on the lessons to learn without a reasoned discussion of what happened, who was to blame, and what we can reasonably expect of people making decisions quickly with often-minimal information and often-maximal emotion. Hopefully, the immediate reactions, based on not actually reading the report, will give way to more considered analysis and interpretation. In this post, I give some initial thoughts on the ‘executive summary’ (150 pages), but with the intention to read it again (and maybe again and again) before considering how we can really learn lessons about how to govern under these circumstances. For me, at its heart, the report argues that well-intentioned action, driven by sincere belief, may have just-as-bad consequences as cynical action if you don’t have good procedures to prompt you to reconsider your actions at key points. I fear that this relatively subtle and important point may be lost in the clamour to describe Blair as a war criminal. The immediate reaction to the Chilcot Report – based on Chilcot’s speech – seems to be that it is damning of the Blair Government. Chilcot in one tweet: Very bad for Blair, govt, spies, military. Definitely more "damning verdict" than "whitewash". Immediate reactions from commentators range from: the UK was just as responsible as the US for the invasion of Iraq, the UK’s involvement was based on a lie about the threat from Iraq, and Tony Blair is a terrorist/ war criminal responsible for the deaths of UK troops and Iraqi citizens; to we need to learn lessons from major mistakes or note the difference between malicious intent and mistakes in judgement. I say ‘immediate reactions’ deliberately, since it is clear that almost all of the early commentators had made up their mind about the implications of Chilcot before it was published, and are using today make political capital in a cynical way (shocker alert). They could not have digested the report itself in time. Nor could they have even read the ‘executive summary’ which runs to 150 pages. This is important because the alternative to close reading is cherry picking the most quotable statements. Example 1: unconditional support or a preamble to challenge? The phrase that has come back to haunt Blair (and which was subject to many questions in Blair’s press conference) is: “I will be with you, whatever”. On its own, it suggests unconditional support to Bush. “I will be with you, whatever. But this is the moment to assess bluntly the difficulties. The planning on this and the strategy are the toughest yet. This is not Kosovo. This is not Afghanistan. It is not even the Gulf War”. The fuller statement gives the impression of beginning a sentence with something positive to cushion the blow of something negative (we used to say “with respect …” before it became associated with the opposite sentiment). So, to take it out of context is to do little more than declare your pre-existing view of Blair and Iraq. Example 2: military action was not the last resort, but could the UK have stopped it? “At the time of the Parliamentary vote of 18 March, diplomatic options had not been exhausted. The point had not been reached where military action was the last resort”. Again, context is everything. Blair’s critics use it to provide a damning assessment of his call to war. Yet, most of the previous 40+ pages suggest that (a) the US was determined to invade Iraq, to achieve regime change, with or without the UK’s help, (b) the US agreed to engage more with the UN, because it meant something to the UK to try to generate some degree of international consensus on the need for disarmament in Iraq (but not regime change), (c) the UK failed to generate that consensus (and realised that key actors in the UN would not agree to invasion over other measures to ensure disarmament), and so (d) its choice was to watch the US invade or play its own part. In my opinion, at no point does the report say that the UK Government, or Tony Blair, played a pivotal role in the decision to invade. If anything, it suggests that the UK delayed the US’s actions (although Chilcott and Blair disagree strongly about the influence that the UK secures in exchange for support for the US). So far, the only time in which someone has taken this point seriously is to ask Blair, in his press conference, if he would have supported invading Iraq if the US was not so unequivocal. It is a counterfactual, but one which actually prompted Blair to pause and think. The other criticisms – that Blair was Bush’s poodle, or just as gung ho – pale in comparison, and seem to signal little more than the childish barbs that people indulge themselves in when they are too lazy to read and think. “The circumstances in which it was ultimately decided that there was a legal basis for UK participation were far from satisfactory”. However, the report then largely describes a key point – the Cabinet should have been informed of the considerable debate and uncertainty about whether or not the Iraqi government had breached resolution 1441 – and the flaws in the UK Government’s unsystematic process. 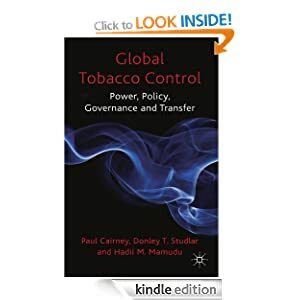 Its focus is more on the flaws in policymaking processes than in the legality of the decision. “the tendency to refer in public statements only to Iraq’s “weapons of mass destruction” without addressing their nature (the type of warhead and whether they were battlefield or strategic weapons systems) or how they might be used (as a last resort against invading military forces or as a weapon of terror to threaten civilian populations in other countries) was likely to have created the impression that Iraq posed a greater threat than the detailed JIC Assessments would have supported”. “The JIC accepted ownership of the dossier and agreed its content. There is no evidence that intelligence was improperly included in the dossier or that No.10 improperly influenced the text”. From then on, the criticism revolves around the distinction between (a) what the JIC can say beyond reasonable doubt about the risks of Iraqi military action, and (b) Blair’s interpretation and belief, based on the JIC’s information. There seem to be three criticisms on that basis: the UK Government put a greater emphasis on Blair’s belief than JIC evidence; Blair and colleagues did not subject their beliefs to rigorous interrogation (for example, after key UN inspections); and, the subsequent absence of WMDs exposed the inadequacy of US and UK intelligence on the matter (made worse by Blair’s disproportionate reaction to limited information). In other words, this is a charge of poor judgement (on trusting and interpreting the available evidence) based on strong belief rather than an attempt to mislead the public. What lessons can we really learn? Chilcot makes the basic argument that there should be greater use of Cabinet and Cabinet committees to subject key decisions to robust disagreement (PP55-61). The summary also contains various references to the problem of ‘ingrained beliefs’; the ‘ingrained belief that Saddam Hussein’s regime retained chemical and biological warfare capabilities’. The point may be about the need to deal with policymaker psychology: you may be well intentioned (the report does not argue that Blair’s government sought to mislead or act cynically), but your ingrained beliefs may not be justified, they might cloud your judgement, and you should have standard operating procedures in government to subject them to meaningful challenge (which might have allowed for, for example, more time to consider the evidence and legal advice, and less pressure on key bodies to find evidence or analysis to justify action). This could represent the most important conclusion, but also the problem with the least clear solution. Is it realistic, in a Westminster system, to develop systematically such checks and balances within the heart of government? P112 says that, “Mr Blair’s Note, which had not been discussed or agreed with his colleagues, set the UK on a path leading to diplomatic activity in the UN and the possibility of participation in military action in a way that would make it very difficult for the UK subsequently to withdraw its support for the US”. This is another interesting argument about the psychology and politics of group dynamics: you might think that you are forming a coalition to temper the actions of the US, but it might instead lead to a situation in which you reinforce US action and can’t find a good way out. The US did not have a good plan for Iraq beyond regime change, the UK was not central to its planning and, when it performed its role, it proved ill equipped. The report then discusses, in some depth, the continued instability of Iraq, the need for different military decisions (or at least an honest debate about policy progress), and growing differences of US/ UK strategy (e.g. on providing more, or withdrawing, troops) (p78-108). From p109 it discusses the potential for policy failure according to different criteria (from more instability in Iraq, to a tense US/ UK relationship). This final point is perhaps the most ‘generalisable’ but, to me, it prompts debate rather than providing solutions. At its heart is a debate about the extent to which you can expect a government to anticipate and plan for the effects of its actions. Yet, if we were being honest, we would recognise that no amount of planning and scenario training would give a decent picture of the consequences of a military action to produce regime change in a state. Perhaps, under those circumstances, Blair should have stood up to say, ‘I believe in what we are doing, but I don’t know what will happen next’. It is a fanciful notion, but perhaps no more fanciful than the idea that we can put in place a strategy to control future outcomes. This is what I would stress as a key learning point for public debate: accept that policymakers always face uncertainty and can’t tell you what will happen next. All they can express is a combination of value judgement, hope, and expectation. We like to think that governments are in control, but they do not really know the consequences of their actions, and we need to find ways to hold them to account under such circumstances. For me, this is about hubris rather than criminality.